Why not start yours in Africa? 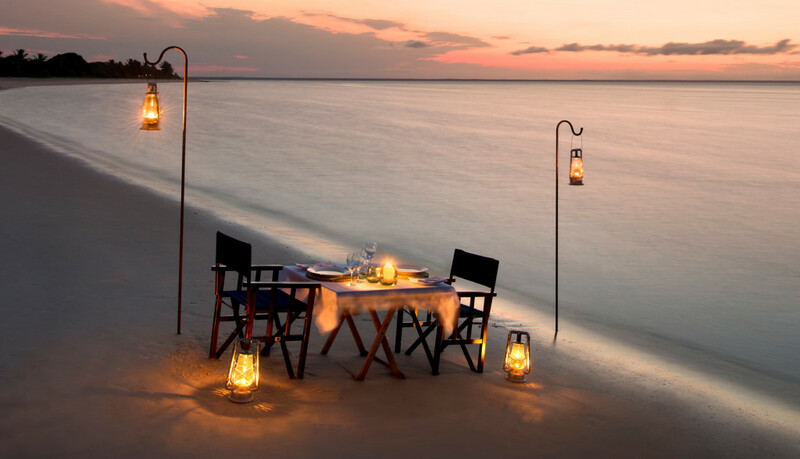 Africa is one of the world’s greatest honeymoon destinations; offering the most romantic luxury safaris, heavenly beach hideaways, fine dining splendour and a magnitude of once-in-a-lifetime experiences! Taking Emerson’s simple yet sincere advice we suggest a combination of the following for an unforgettable and extraordinary honeymoon. Click here: African Luxury Honeymoon for an in depth look. The link includes our interactive map, videos and images of some of Africa’s most exquisite destinations! 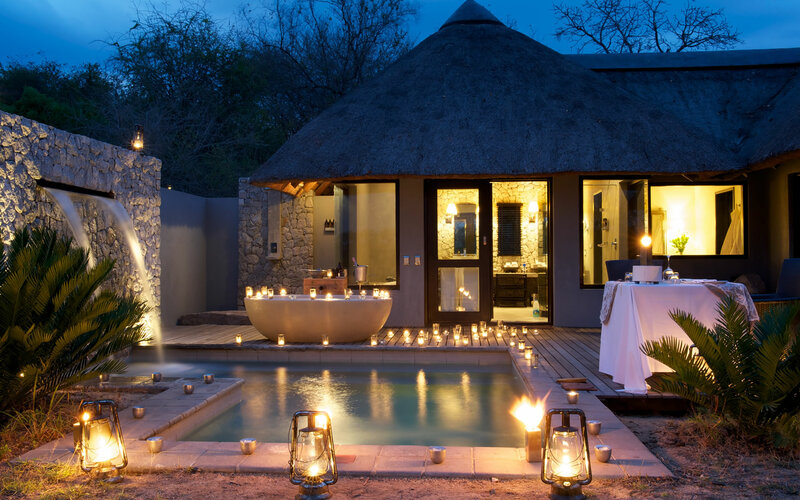 Whether you choose The Kruger National Park, Madikwe or Botswana you and your loved one can expect a truly romantic retreat. The magic of the African bushveld touches all that visit it, an indescribable feeling and the perfect backdrop to begin a life of wedded bliss. From relaxing in your own private plunge pool, to sipping a superb sunset cocktail while watching elephants at the waterhole, to a sumptuous, 5-star dining experience and large lavish lodges… you cannot go wrong. Sit back, relax and let the exquisite African luxury engulf and spoil you. Iconic Africa recommends the private reserves of the Sabi Sands, Timbavati Game Reserve, Thornybush and Singita’s concessions, all set within the park. These private preservation areas are notorious for their Big 5 sightings, and the definitive luxury safari style. In true African fashion these lodges go above and beyond for honeymooners, so we have no doubt an adventure here will surpass your wildest expectations! Whether you choose Mozambique or Cape Town the pristine beauty and breath-taking sunsets at these incredible destinations will have you begging to stay for longer. Mozambique is a complete sensory overload of beauty, wilderness, culture and flavour flanked by 2400kms of silky white beaches. Dotted along the astonishing coastline, little pieces of African paradise have floated out into the azure Indian Ocean to create the last remaining wild island paradises in the world. Azura Benguerra and Azura Quilalea are the best possible places to experience the abundance, luxury and seclusion of an authentic, superlative, tropical island honeymoon. Cape Town also offers stunning beaches and is the very destination where awe-inspiring nature, gourmet Cape cuisine, exceptional service and ultimate indulgence meet in glorious harmony on the edge of Africa. From sweeping ocean views, pristine white beaches, mountain walks, whale watching, sun tanning and spa treatments need we say more? For the wine-lovers and foodies out there… there is no better setting than Franschhoek, which literally blooms romance and is without a doubt one of the most beautiful villages in the world. Drive across rugged mountain passes, down lightly down age-old cobbled driveways and through century old vineyards and gently make your way into the Cape Dutch style manor houses that are typical in the culinary capital of the Western Cape. The Cape Winelands epitomises luxury and relaxation and romance. Although the area is steeped in tradition it is also a vibrant hub for fine wining and dining. Whether you are looking to simply slow down and take in the countryside ambiance, or perhaps a cultural journey visiting galleries, historical monuments and time-honoured wine estates. Whether you want to taste some of the region’s finest bubbles, sample the local treats or simply wander through the vineyards holding the hand of your loved one… the Cape Winelands has endless experiences on offer. Without question one of the world’s most spectacular cities, Cape Town was recently voted the 2014, World Design Capital. Despite being South Africa’s oldest city, Cape Town has managed to retain its traditional charm whilst developing its cosmopolitan lifestyle. This combination ensures a wealth of experiences for tourists and locals’ a-like. Cape Town is undoubtedly a destination in itself but also the honeymooner’s gateway to the African continent. Cape Town has an allure and a heartbeat that cannot be experienced alone… it is a city for couples. Honeymooners will fall further in love not only with each other but also with the idyllic views and white sanded beaches, incredible food on offer and breathtaking views no matter where in the city you are. Africa is the continent of safari, wilderness, and adventurous escapades but infused into all of this is an unmistakable and ancient romance. Contact Iconic Africa now to combine the perfect mix of beauty, wilderness and adventure into a honeymoon your loved one will remember forever.